You can add either a headset, earphones, ear buds or a neckloop to the Contego 900’s audio jack. 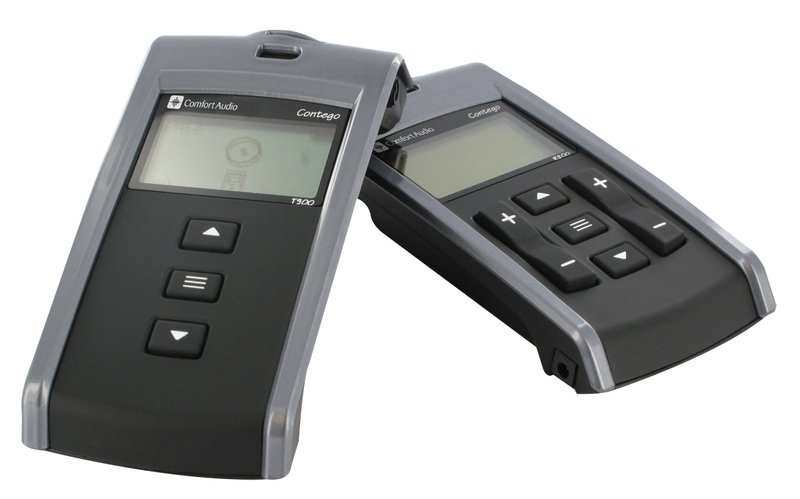 The Contego 900 Personal Amplification and FM system’s receiver amplifies sounds on its own and receives signals from the wireless transmitter, which is worn by the speaker. The adjustable microphone (three settings) pinpoints the sound source accurately, eliminates background noise and makes voices clearer. For increased security, the transmitter sends a digital code to the receiver, making it virtually impossible for someone to intercept a conversation. The system includes a transmitter, receiver, mini-microphone, charging adaptor, carry case and listening accessory (choose from a headset, ear bud or neckloop).